Verification of sound insulation requirements or complied immission guidelines. By Alpha Environmental Sciences, Inc. based in Asheville, NORTH CAROLINA (USA). Since our inception we have advised on hundred of successful new residential developments in support of planning applications across the UK. Our projects have included singular dwellings to large multi use developments affected by a number of different sources such as road traffic, rail traffic, aircraft noise and industrial noise sources. By Acoustic Consultants Limited based in Keynsham, UNITED KINGDOM. We provide solutions to noise issues before they become noise problems. We've compiled a list of our services. Please feel free to contact us for more info and answers on how we can solve your issue before it becomes a noise pollution problem. By Power Acoustics, Inc. based in Orlando, FLORIDA (USA). In reducing existing noise emission levels to their surrounding environments to ensure compliance with EPA guidelines, EPA license requirements, site inspections, residential complaints and environmental report statements. By Innova Global Limited. based in Cambridge, ONTARIO (CANADA). By Addiscombe Environmental Consultants Limited based in Croydon, UNITED KINGDOM. Product noise specification and technical file measurements. Noise measurements to provide data for technical notes (e.g. CE marking), standards and contractual specifications (Buy Quiet purchasing policy criteria). Our industrial services cover both internal noise at work assessments and external noise mapping for new projects. 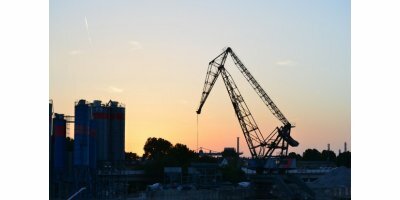 We undertake noise surveys to satisfy the requirements of the Control of Noise at Work Regulations 2005, investigate difficult plant noise and vibration issues and advise on how best to reduce noise to acceptable levels. By Environoise Consulting Limited based in Ellesmere Port, UNITED KINGDOM. By Vibrocomp Ltd based in Budapest, HUNGARY. 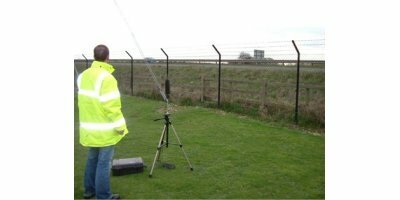 Noise testing – We offer a wide range of Noise Surveys and Consultancy Services throughout the UK. We provide noise surveys, testing & reports for a wide variety of projects, please call us on 0116 2725908 or follow the links below for further information. By NoiseAir Ltd. based in Lutterworth, UNITED KINGDOM. RSK can handle most aspects of noise and vibration impact assessments in-house, including noise and vibration surveys of existing scenarios, predictive consultancy, assessing sensitive developments and designing mitigation measures. By EVA-International based in Brugge, BELGIUM. Peace, tranquility & noise complaints: Soundguard Acoustics Ltd will provide noise impact assessment of proposed developments, mechanical plant, entertainment venues or the noise impact assessment of road, rail traffic or industrial noise sources upon a noise sensitive property. By Soundguard Acoustics Ltd based in Bideford, UNITED KINGDOM.